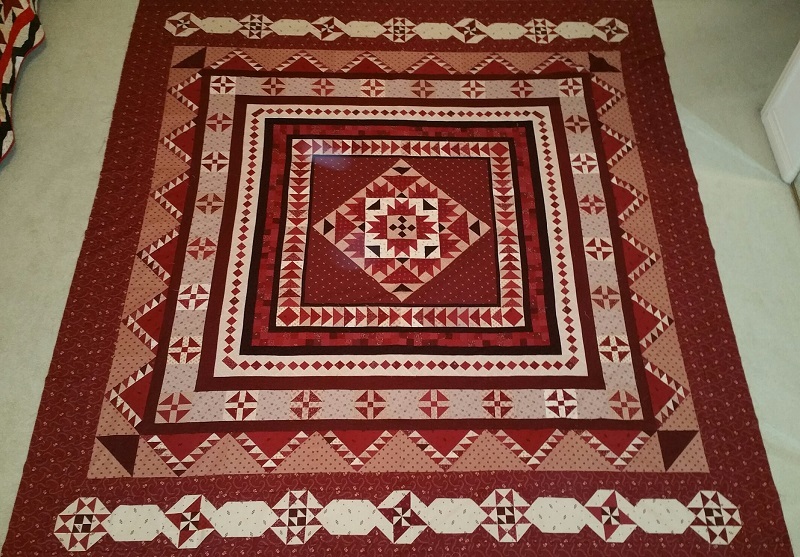 Kerry's Quilting: April UFO Finish. April is almost gone, and I am happy to report that my April UFO is complete! 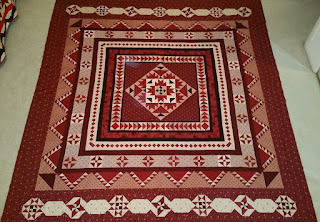 Prairie Gathering, a block of the month from Pam Buda is finished and in the quilting que. You can check out this pattern and many more great designs at Pam's Website, Heartspun Quilts. I will am linking up my finished UFO's at Patchwork Times, where you can see many more great projects. I am also awaiting the release of the May UFO, so I can get going on that one.